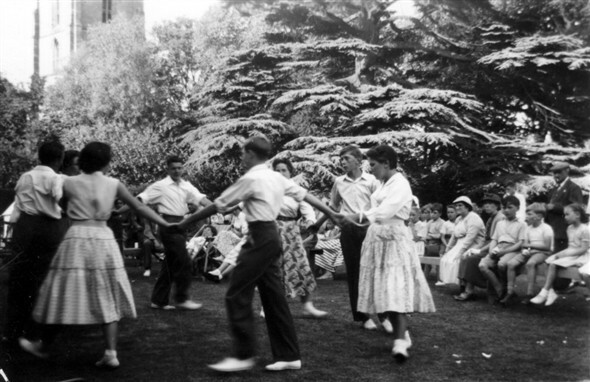 Scouts and Guides dance on Bottesford Rectory lawn during a village fete in 1953. The village fetes that used to be held on the lawn of Bottesford’s Old Rectory are remembered with great affection. 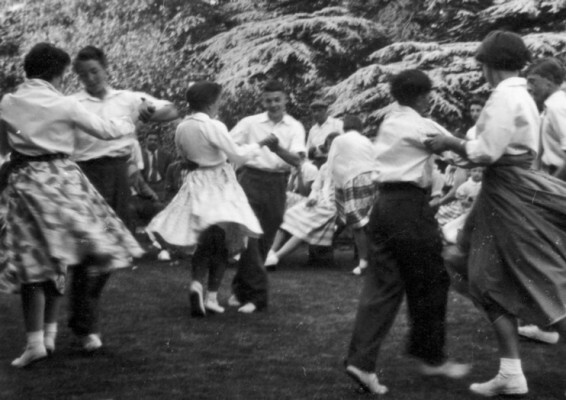 During the 1950s, Canon Blackmore played host to villagers, and the Duke a Duchess of Rutland added their support and enthusiasm to the occasion. These two pictures show a demonstration of square dancing by the Scouts and Guides. Thanks, Michael, for all this insight. Can anyone add a Comment with more memories and information about the people and the occasion? This page was added on 31/01/2008. Does anyone still know Maureen Tinkler in the top picture? Does she still live in or near Muston?